1358d 'Felix' Bomb Disposal Personnel badge. Light tan. British Army. 'FELIX' bomd disposal operators badge motif. Afghan period. Velcro backed. ..
1360 Royal Engineers TRF patch. Royal Engineers. TRF [tactical recognition flash]. ..
1361s Royal Engineers shoulder titles, subdued. Royal Engineers. Shoulder titles, subdued. Pair. ..
Royal Engineers. 8 Engineer Brigade TRF patch. MTP Velcro backed. Subdued version [code 1363s] a..
1363s 8 Engineer Brigade TRF. Black/Olive. Royal Engineers. 8 Engineer Brigade TRF patch. Subdued. MTP version [code 1363mtp] also available..
1364 32 Engineer Regiment, TRF. Royal Engineers. 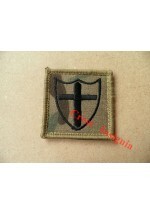 32 Engineer Regiment TRF patch. ..
1365 Royal Engineers search team operatives badge. Royal Engineers. 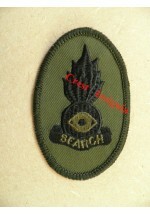 Search team qualification badge. ..
1366 MSSG [works force] TRF patch. Royal Engineers. 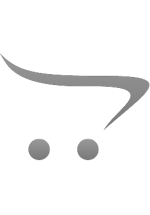 MSSG [replaced the old 'military works' units] Personnel badge. ..
1367 12 [air support] Regt. Royal Engineers TRF. Royal Engineers. 12 [air support] Regiment TRF patch. ..
Royal Artillery TRF [tactical recognition flash]. ..
Royal Artillery. 1st Artillery Brigade TRF patch. Colour. Subdued version [code 1371s] also avail..
1371s 1st Artillery Brigade TRF. Subdued. Royal Artillery. 1st Artillery brigade TRF patch. Subdued. 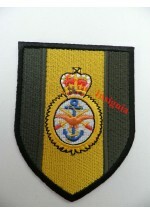 Colour version [code 1371c] also avail..
1372c 7 Air Defence Brigade TRF. Colour. Royal Artillery. 7 [air defence] Brigade TRF patch. Colour. Subdued version [code 1372s] also ava..
1372s 7 Air Defence Brigade TRF. Subdued. Royal Artillery. 7 [air defence] Brigade TRF patch. Subdued. Coloue version [code 1372c] also ava..
1373 101st [Northumbrian] Regiment. Royal Artillery. Royal Artillery. 101st [Northumberland] Regiment TRF patch. Subdued 'The Geordie Gunners' ..
1374c 16 [air defence] Regiment, Royal Artillery TRF. Colour. Royal Artillery. 16 [air defence] Regiment TRF patch. Colour. Subdued version [code 1374s] also a..
1374s 16 [air defence] Regiment, Royal Artillery, TRF. Subdued. Royal Artillery. 16 [air defence] Regiment. TRF patch. Subdued. Colour version [code 1374c] also ..
1375 206 [Ulster] Battery, Royal Artillery TRF. Royal Artillery. 206 [Ulster] Battery TRF patch. ..
1376 'JAVA' Battery, Royal Artillery TRF. Royal Artillery. 'JAVA' Battery TRF patch. Subdued. ..
1377 'CHINA' Battery, Royal Artillery, TRF. Royal Artillery. 'CHINA' Battery TRF patch. Subdued. ..